WASHINGTON -- Puerto Rico Gov. Ricardo Rosselló announced Monday he will privatize the island's crippled, broke and decrepit electric energy authority, which he said has become a heavy burden to residents and has been hampering economic recovery. 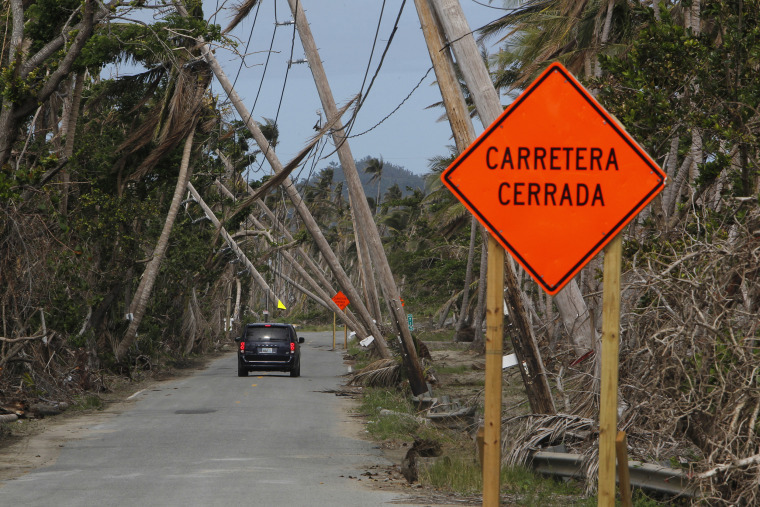 Rosselló painted a bleak picture of the Puerto Rico Electric Power Authority – known as PREPA in English and by the acronym AEE in Spanish – that has yet to be able to return to full power generation four months since Hurricane Maria thrust the island into darkness. "The Electric Power Authority has become a heavy burden for our people, who today are hostage to (its) poor service and high cost. What we know today as the Electric Power Authority does not work and cannot continue to operate like this," he said. The system is 28 years older than the average electrical utility in the United States, oil dependent, expensive and polluting, Rosselló said in a televised speech. The power authority has been a monopoly that practically abandoned maintenance of the electrical system's infrastructure over the past decade and has provided poor service at a high cost as energy demand has dropped. Nearly a third of its employees have left the authority over the past five years, most of whom worked in maintenance and operation of the electric system. It's $9 billion in debt. "With that authority, we cannot face the risks of living in an area of high vulnerability to catastrophic events, such as the recent hurricanes," Rosselló said in his speech. Rosselló said the planned transformation will begin in the next few days with legislation, followed by a call for companies to submit proposals and bids. It will finish with the hiring of selected companies. That process should take about 18 months, he said. "We are taking a step towards a consumer-centered model, where you can have options, an innovative model that is sustainable, with advanced technology and resilient before the ravages of nature," he told Puerto Ricans. "It should be financially viable, at a lower cost to you. This will be the leap towards the modernization of Puerto Rico." The destructive winds of Hurricane Maria, clocked at 155 miles per hour at landfall making it a strong Category 4 hurricane, knocked out electricity to the entire island when it hit Sept. 20. It ripped down wires and toppled electrical posts, bending some and slicing others in half. Puerto Rico reported that as of Monday, the electrical authority was at 84 percent power generation, with about 67.6 percent of its customers with power. Since the hurricane, many residents have had to rely on diesel-fueled generators, forcing them to dole out cash for diesel fuel to keep them running. Rosselló said the privatization will not only modernize Puerto Rico's electrical grid but allow for reaching a goal of more than 30 percent of renewable energy generation. Federico de Jesús, a Washington political consultant who is a former deputy director of the Puerto Rico Federal Affairs Administration, said the privatization could be a positive for Puerto Rico. He said the generation portion of the electrical authority should be broken up so there is competition on the generation side and the public retains the distribution side. It should be decentralized, make as much use of renewable energy as possible and have strong independent oversight from an energy commission "that has enough teeth to do its job." "Any new model should include micro grids and strong infrastructure investment that makes Puerto Rico's economy more competitive and the grid more resilient," de Jesús said. "If that's the ultimate outcome, then the governor's decision will have been the right one."